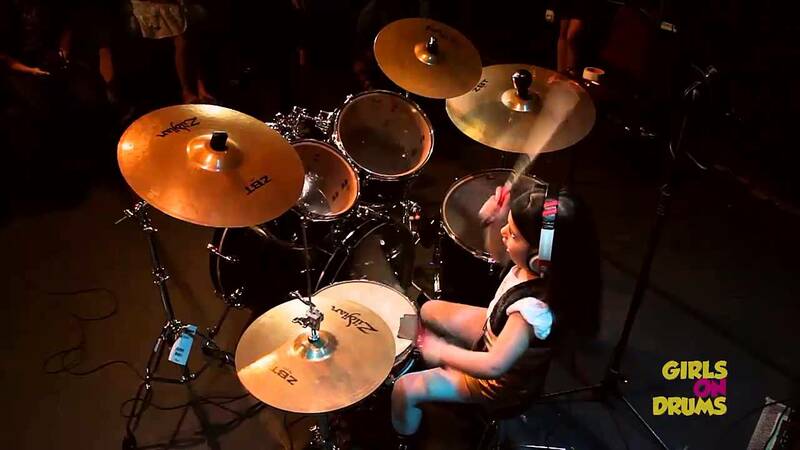 The video of Eduarda Henklein drumming to System Of A Down's Chop Suey has gone viral. We all know Rock N Roll is ageless, but this 5-year-old girl takes the biscuit! Eduarda Henklein s such a wiz on the drums that she can play the part to System Of A Down's Chop Suey. The 6-year-old Brazilian girl, who has almost 8K subscribers on her YouTube channel, was filmed performing the SOAD track when she was just five in May this year. In the YouTube comments section, she writes: "This is System of a Down and I like them very much!!! Long Live Rock 'n' Roll". Watch her epic performance above. It's not the only performance little Eduarda has completely aced, also appearing on Brazilian TV to perform the Guns N' Roses track, Welcome To The Jungle. With two musician parents, it's easy to see where she gets her talent from, but that makes it no less impressive. They say legends are made, not born, but at six-years old, this kid's looking pretty legendary already. It looks like System Of A Down seems to be a popular choice for child drumming prodigies, with 5-year-old Jonah nailing his performance of Toxicity in this video from 2016. Rock on kids. Rock on!